Like every other upstanding pundit, I can't let the year pass without taking a creative leap into the future. 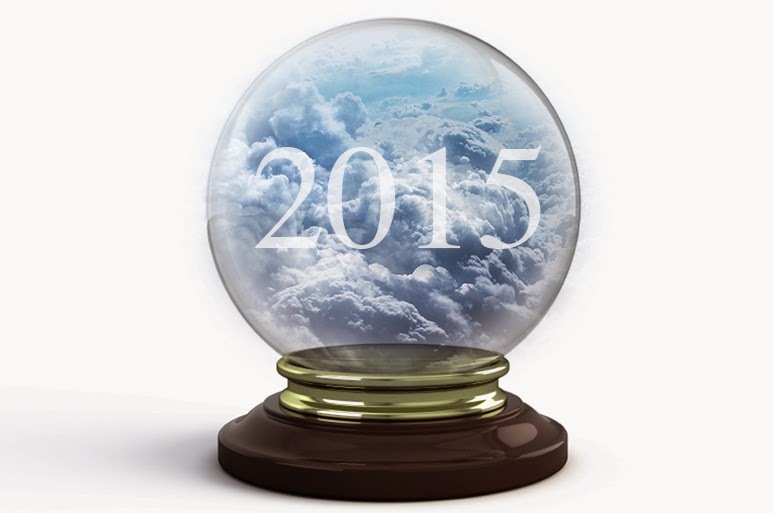 Without any further ado, here are my bold tongue-firmly-planted-in-cheek predictions for what 2015 might bring. A local blogger will make the leap into the political realm. He or she will either jump into the ring again or for the first time. How's that for being cagey? Said person will leverage their social media KLOUT to give established current elected officials a run for their money. Ground will not be broken on the long term care facility by the time the calendar closes on 2015. Meanwhile, @Orangelid's long locks will get caught in the suction of the pool intake at MacDonald Island and paramedics will be forced to cut his hair to save his life. Senior's will be outraged, but Mr. Meagher will live to serve another year. The seniors will celebrate in spring 2016, when digging begins on the development at Willow Square. Following the Northern Kick-Off, there will be a public uproar over the traffic jams and number of hours it will take to get home. "Why didn't we build the damn bridge?" will be asked dozens of times as the purported (and false) cost of $77 million fades into the recesses of the collective consciousness replaced by the reality that getting 18,000 people off MacDonald Island is harder than it looks. Athletes in Wood Buffalo for the Western Canada Summer Games will stage a sit-in, refusing to leave Noralta Lodge at the end of competition. Enamoured with the scrumptious and plentiful food and first-class digs, they just won't want to leave. Meanwhile, organizers of the next Games will promptly get themselves into therapy, knowing that nothing they do will measure up to what Wood Buffalo delivers in August 2015. The oil price will begin a slow hike back up to a level that will reignite investment and new development in the Region. Meanwhile, Neil Young will make another visit and beat the drum about the virtues of coal fired power generation over oil sands development. Tragically, someone will take the advice that economist Todd Hirsch dished out at a recent Chamber of Commerce luncheon, bringing the visit to a reverberating halt. At least two elected officials will leap into the next provincial election race. He and she will take their lessons learned and relationships built and throw caution to the wind. Which parties they run with are a moving target, especially with the wilting of the Wild Rose. The Regional Recreation Corporation will announce their much anticipated replacement for Tim Reid, the former CEO now running Northlands in Edmonton. The incumbent will have their hands full, considering the size of the shoes they will try to fill. The opening of Shell Place will help distract, but this person will have an uphill battle to measure up to the magic generated by Mr. Reid. The eyesores at the end of Franklin Avenue will finally be demolished in 2015. A developer will come to the table offering hope and compensation to the property owners who have been shouldering the weight of this disaster for several years. My guests is that it will be an establishment that rhymes with Lostco. And finally, the big story of the year will be the departure from the scene of a veteran politician. He or she will take their bow (and their knocks), and exit stage left. On a more serious note, I hope you have a marvellous New Year and that 2015 brings you great joy, peace and fulfillment. All the best to you and yours. Thanks for reading!